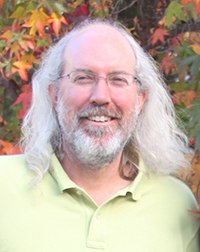 Thomas Herman earned his Ph.D. in Geography in 2000 from the joint doctoral program of the University of California-Santa Barbara and San Diego State University, having studied previously at Villanova (BA) and New Mexico State (MA) Universities. He is currently an Adjunct Professor of Geography; Project Director for the Young People’s Environments, Society and Space (YESS) Research Center; and Director of the California Geographic Alliance (CGA). Tom’s research interests revolve around social geographies – particularly of children, families, and communities – and the evolution of urban neighborhoods. Tom is thrilled to be able to contribute to community well-being and the work of non-profit and governmental organizations as an evaluator/consultant. Tom is also a passionate advocate for the discipline of geography and enjoys sharing his enthusiasm with teachers and students whether in the classroom or in the field. Rhianna earned her Master’s Degree in Women’s Studies from San Diego State University, where she now serves as a lecturer. 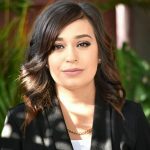 She previously received her Bachelor’s Degree in Psychology and in Women, Gender and Sexuality Studies from California State University-Long Beach. Her research interests involve the representation of women in the justice system, the role of caring labor in gender inequality, feminist theory and critical race theory. Rhianna has worked with the YESS Research Center and the Community Consulting team since 2013 and enjoys serving as an evaluator for various non-profit and governmental organizations. Alejandra is a UC Berkeley graduate with a Bachelor’s of Arts Degree in Political Science and Social Welfare. She has worked with the YESS Research center for almost a year. As the Evaluation Coordinator, Ms. Chaidez supervises and assists with the data collection process, data management and statistical summary and analysis of reports on evaluation outcomes for six of our active community consulting projects. Her areas of interest include mental health and well-being, transnational and immigration issues and bilingual and English as a Second Language education.